We recently partnered with Shop Gotham for a corporate program in NYC. We invited various retailers from around the world to tour innovative retail stores throughout the city. These are very important clients to us and it was essential to have people who knew the landscape far better than us. The schedule was well thought out and planned, the buses were clean/spacious, and the tour staff was very knowledgeable of the city. The feedback from our customers has been very positive and we are looking forward to measuring the results of this great event. Thank you Marla and the Shop Gotham team for an exceptional program. Shop Gotham is the only company in NYC to custom craft shopping tour itineraries to identify and visit INDUSTRY SPECIFIC MARKETS. Does your group need to see the finest RETAIL ARCHITECTURE;most cutting edge TECHNOLOGY stores; latest in BEAUTY Industry displays; or innovations in HOME and GROCERY? These are just examples of the content rich specialized programs that we can create with our “on the ground” research. Shop Gotham has hosted dozens of corporate clients and has been working with NRF groups since 2005. Seeking unique Corporate gift items? Shop Gotham can assist with fashionable choices direct from the showrooms. Please reach us to discuss. 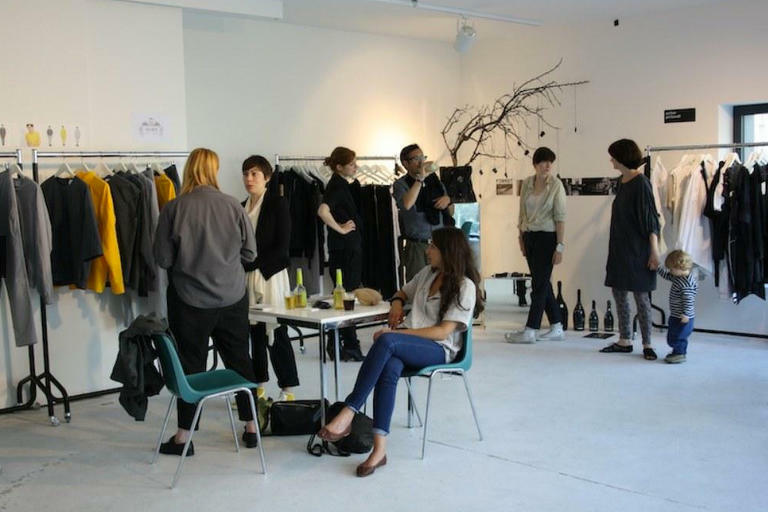 SPECIAL ACCESS for your Guests: Meet Fashion Designers in their Showrooms, while they enjoy rare opportunity to shop at Wholesale, an activity typically reserved for store buyers & magazine editors. Thrill them with this unique “only in NY” experience. Shop the Chic and Wondrous neighborhoods that form this retail mecca. Exclusive Store Discounts, special Meet/Greets and other perks included in most itineraries. For independent types, Shop Gotham will map out a day’s worth of shopping in New York for each group member. Once you have been to Ellis Island, The Statue of Liberty, and Rock Center nothing is more satisfying for a group of women than some power shopping and a relaxing lunch ( with beverage). 18 of us spent a great morning in the garment center, shopping in showroom selected specifically for us.One designer had us rolling in laughter with a tales about clothing mishaps. The insider experience was fascinating and we will all bought some thing special at very reasonable price. This group of southern ladies had a ball.